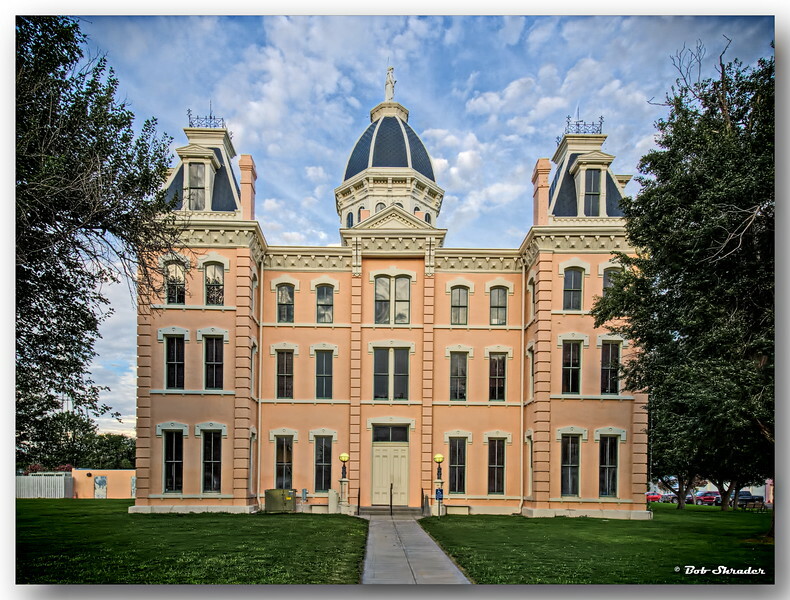 The Presidio County Courthouse in Marfa, Texas. Raw conversion in PictureCode Photo Ninja 1.3.4b. Post processing in ACDSee Ultimate 9, DxO ViewPoint 2 and Topaz Clarity. An early morning before the tourists arrive is a great time to tour the historic section of Main Street in Grapvine, Texas. 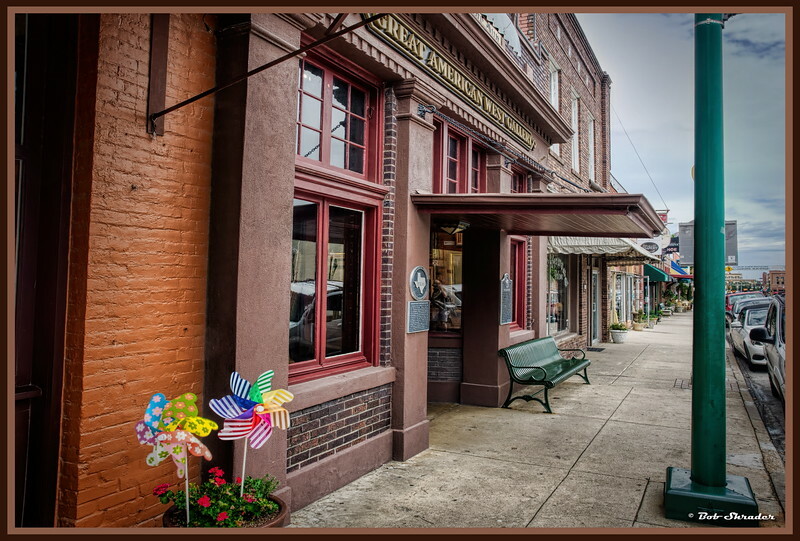 Here the area has been revitalized with new businesses, attracting both locals and out of town visitors. Many of these structures like Grapevine Sun Building housing the Great American West Gallery have historic plaques recognizing their contributions to the community. Raw conversion in PictureCode Photo Ninja 1.3.4b. Post processing in ACDSee Ultimate 10, Topaz Adjust 5, Topaz Clarity, PhotoLine 19.5 and Alien Skin Exposure X2. Viewed through a glass partition, the officers' quarters kitchen as it might have look in 1872-1891. Fort Davis National Historic Site, Fort Davis, Texas. Raw conversion in DxO Optics Pro 11 Elite with lens correction by DxO ViewPoint 2. Post processing in ACDSee Ultimate 10, Topaz Adjust 5, Topaz Clarity and Topaz Texture Effects 2 (Prickly Pear). Black and white film-look applied. Looking at the windows in the dome of the Hobby-Eberly Telescope at the McDonald Observatory in Fort Davis, Texas. Because of the multiple-mirror construction, the telescope is housed in an open frame protected by this dome. Raw conversion in Photomatix Pro 5. Post processing in ACDSee Ultimate 10 and Topaz B&W Effects 2. 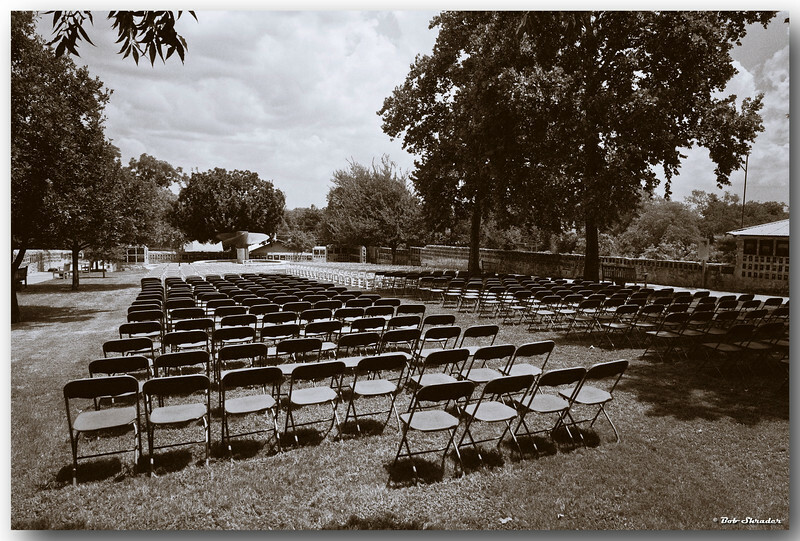 Black and white film effect applied to this digital scene of an outdoor public area of the National Museum of the Pacific War in Fredericksburg, Texas. Raw conversion in DxO Optics Pro 11 Elite with lens correction in DxO ViewPoint 2. Post processing in ACDSee Ultimate 10, Google Nik Viveza 2 and Alien Skin Exposure X2 (Toning - Selenium (Fuji Neopan 1600). Blue Bell Ice Cream Sign on front door of Callahan Land & Cattle Restaurant in downtown Baird, Texas. 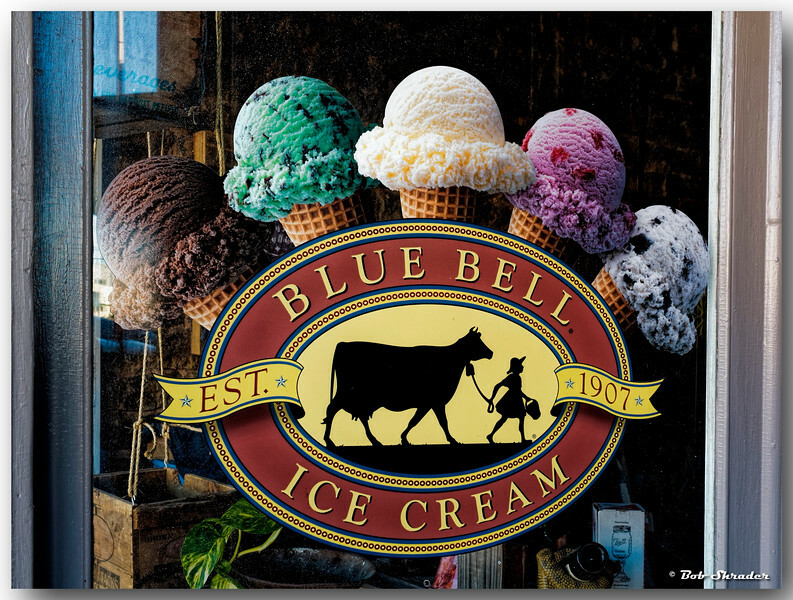 Blue Bell has been gradually restoring service in its market area after its plants were shutdown due to a liseria outbreak. But the Texas favorite was back in time for the opening of this new restaurant in a historic restored building in the Callahan County seat. Raw conversion in DxO Optics Pro 11 Elite with lens correction in DxO ViewPoint 2. Post processing in ACDSee Ultimate 10 and Topaz Clarity. Black and white rendering. 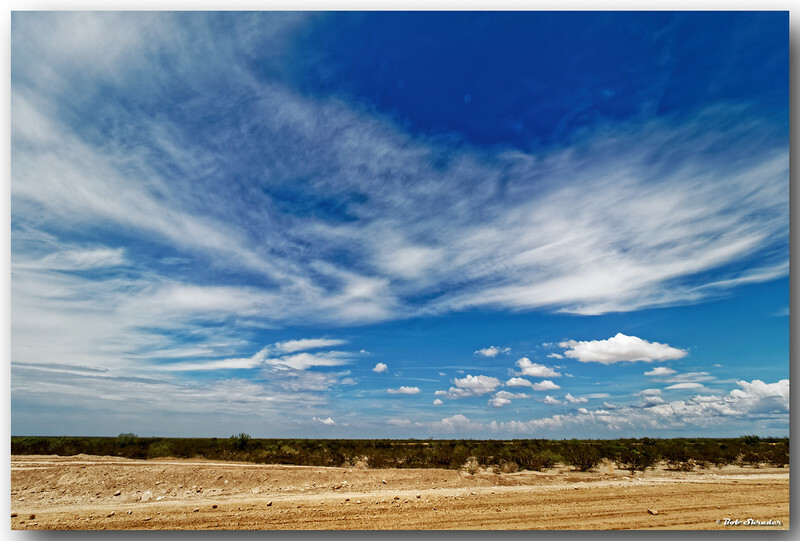 In the desert of West Texas there aren't many trees, but you can see for miles and miles and enjoy the vast, open view of the sky. Olympus E-M1 and M.Zuiko 7-14mm F2.8 PRO. Raw conversion in DxO Optics Pro 11 Elite with lens correction in DxO ViewPoint 2. Post processing in PhotoLine, Alien Skin Exposure X2, ON1 Photo 10.5 (Black and White - Ansel in the Sky preset) and ACDSee Ultimate 10. The art of photography does not end at the camera. The digital darkroom is equally important. I'm certain Ansel Adams would agree. In the desert of West Texas there aren't many trees, but you can see for miles and miles and enjoy the vast, open view of the sky. Olympus E-M1 and M.Zuiko 7-14mm F2.8 PRO. Raw conversion in DxO Optics Pro 11 Elite with lens correction in DxO ViewPoint 2. 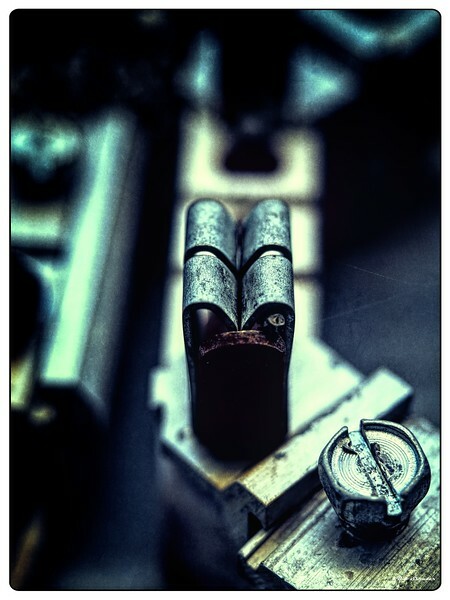 Post processing in PhotoLine, Alien Skin Exposure X2, ON1 Photo 10.5 and ACDSee Ultimate 10. The art of photography does not end at the camera. The digital darkroom is equally important. I'm certain Ansel Adams would agree. 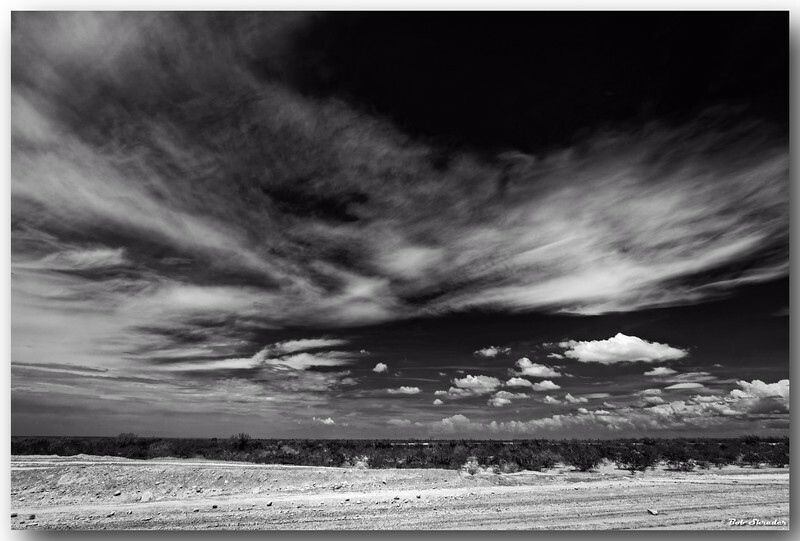 Monochrome rendering of view from Interstate 10 rest stop near Sonora, Texas. Raw conversion in PictureCode Photo Ninja 1.3.4b. Post processing in ACDSee Ultimate 10, PhotoLine 20 beta and Topaz B&W Effects 2 (Cyanotype Collection: Prussian Dynamic). 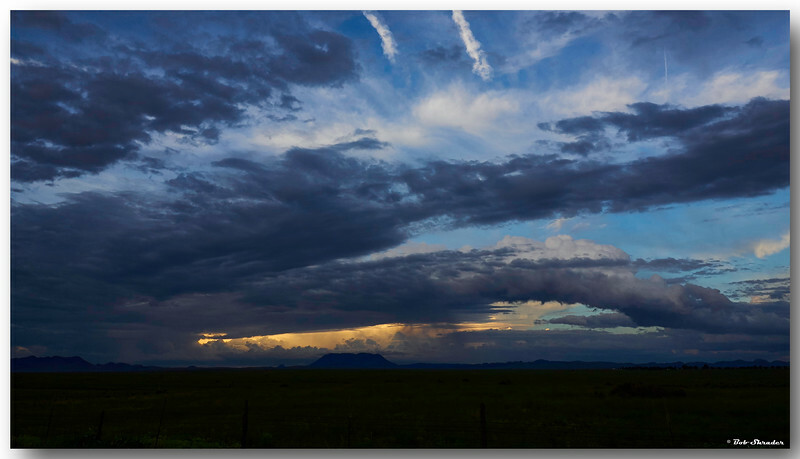 The sun sets behind storm clouds in the West Texas desert near Fort Davis, Texas. Olympus E-M1 and M.Zuiko 7-14mm F2.8. Raw conversion in Phase One Capture One Pro 9.3. Post processing in ACDSee Ultimate 10. Black and white film-look rendering of the sun setting behind storm clouds in the West Texas desert near Fort Davis, Texas. Olympus E-M1 and M.Zuiko 7-14mm F2.8. 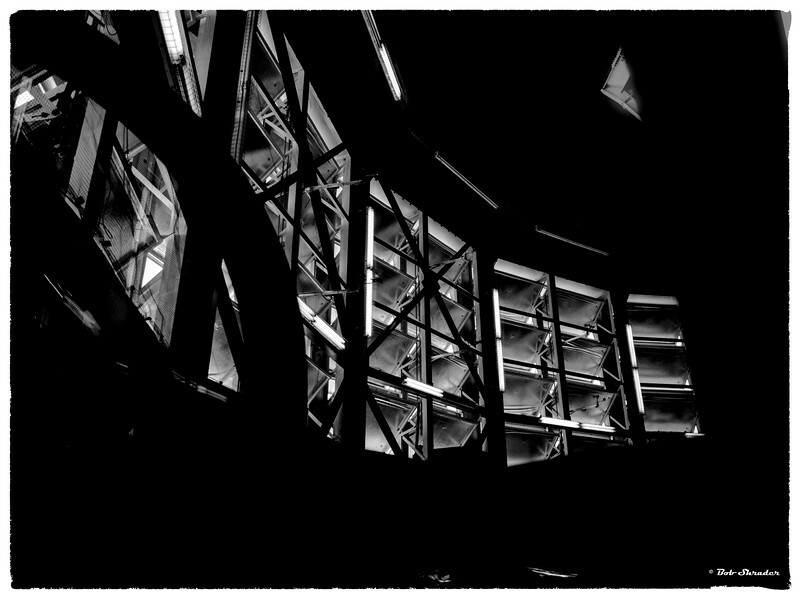 Raw conversion in Phase One Capture One Pro 9.3 (Kodak Panatomic-X 32 style). Post processing in ACDSee Ultimate 10. 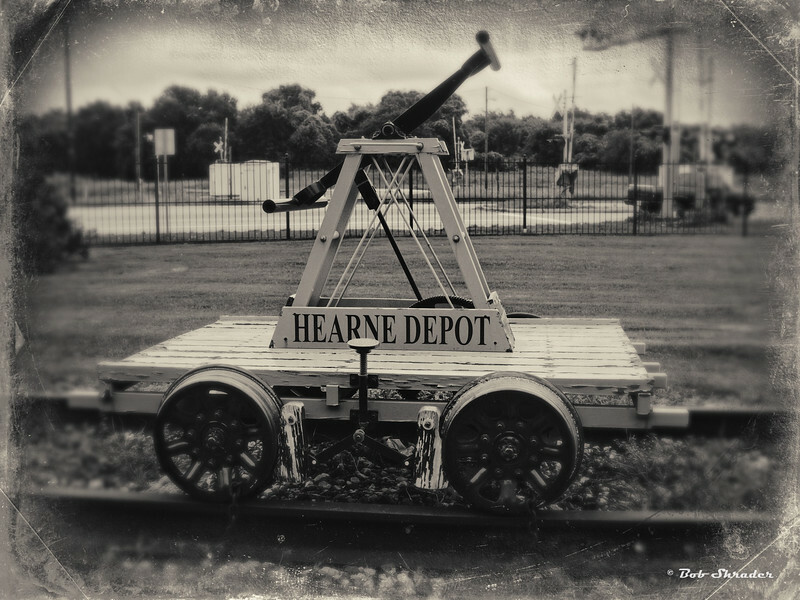 Stylized rendering of sign on the railroad depot museum in Hearne, Texas. Olympus E-M1 and M.Zuiko 12-40mm F2.8 PRO. Raw conversion in Phase One Capture One Pro 9.3. Post processing in ACDSee Ultimate 10.1, PhotoLine 20, Topaz Adjust 5 and Alien Skin Exposure X3. 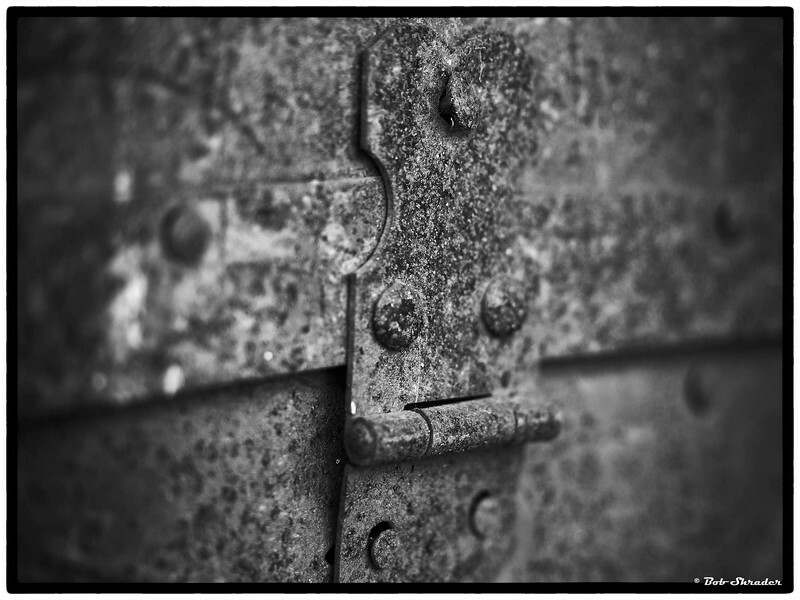 Black and White film-effect rendering of rusty hinge on an old trunk at the railroad depot museum in Hearne, Texas. Olympus E-M1 and M.Zuiko 12-40mm F2.8 PRO. Raw conversion and processing in Phase One Capture One Pro 9.3 (style: Neopan 1600 v. 5). 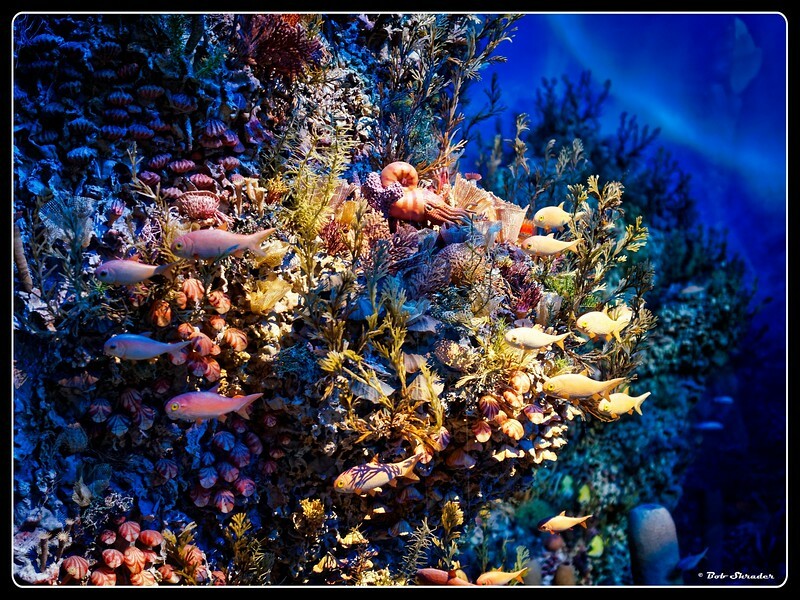 Additional post processing in PhotoLine 20. Stylized rendering of closeup of part of an electrical connection assembly. Olympus E-M1 and M.Zuiko 12-40mm F2.8 PRO. Raw conversion and processing in ON1 Photo RAW 2017. 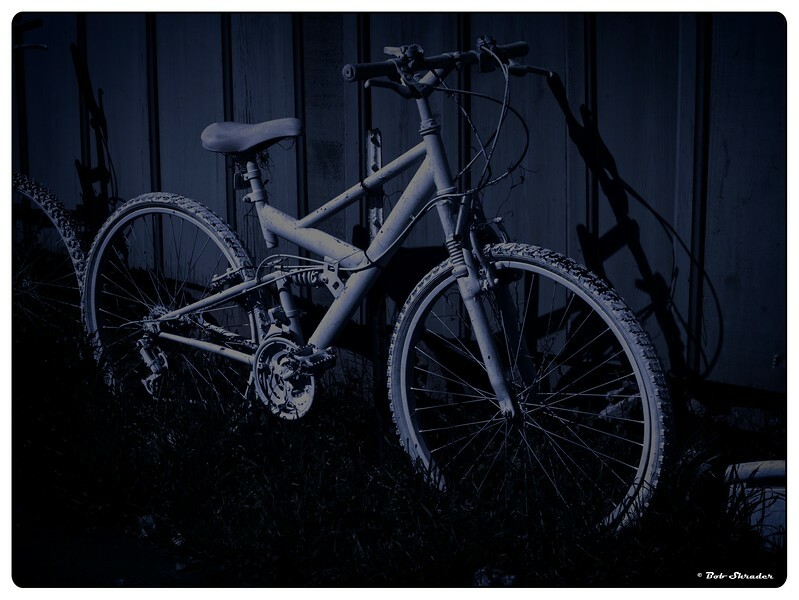 Additional post processing in Affinity Photo 1.5 and Topaz Texture Effects 2 (Mechanic Grime). 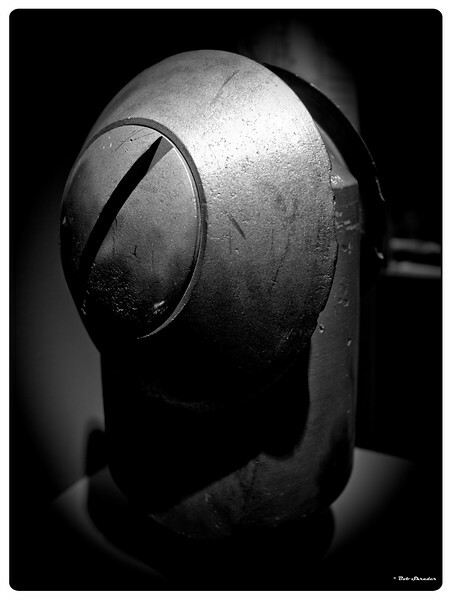 Black and white film-look rendering of an early model of a rotary disc bit used on a petroleum drilling rig. On display at Permian Basin Petroleum Museum, Midland, Texas. Olympus PEN-F and M.Zuiko 17mm F1.8. Raw development and processing in ON1 Photo RAW 2017 (Black & White: SpotLight). But Have You Tried It? 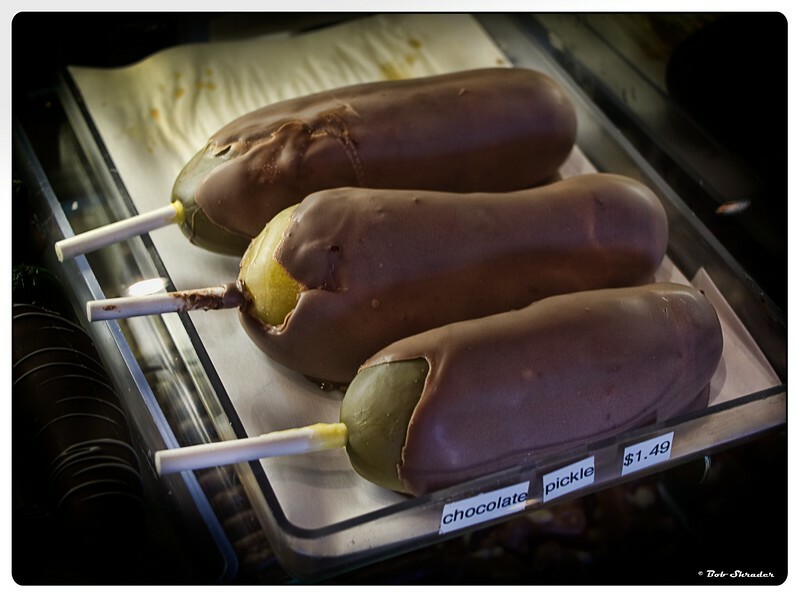 Chocolate-dipped dill pickles for sale at one of the shops along the main street of the German American town of Fredericksburg, Texas. Olympus PEN-F and Lumix G 25mm F1.7. Raw development and processing in Affinity Photo 1.5. Additional processing in Topaz Labs Adjust 5 and ON1 Photo RAW 2017. What to do with an old bicycle? Paint it white and lean it against a wall along the sidewalk. 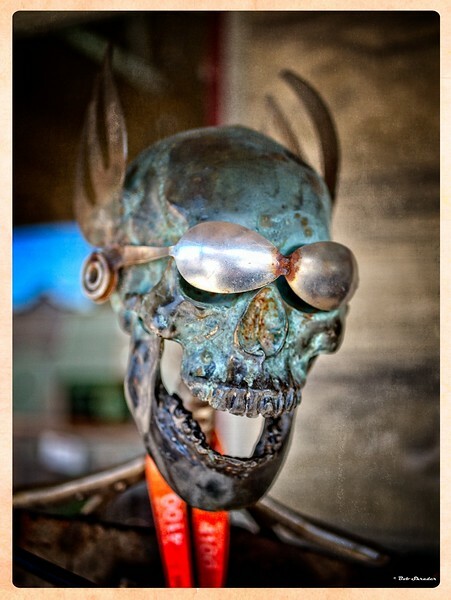 It's now folk art. Monochrome film-look effect. Olympus PEN-F and Lumix G 25mm F1.7. Raw development and processing in ON1 Photo RAW 2017 (Cinematic: Day for Night). Sidewalk display featuring folk art on the main street of Fredricksburg, Texas. Olympus PEN-F and Lumix G 25mm F1.7. Raw development in ON1 Photo RAW 2017 with Photomorphis Historical Decay preset. 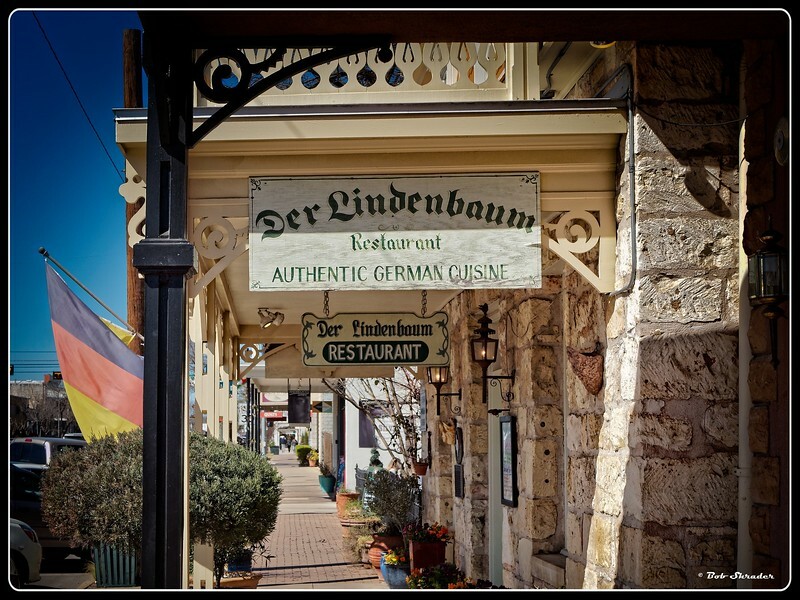 Der Lindenbaum German food restaurant in Fredericksburg, Texas. Olympus PEN-F and Lumix G 25mm F1.7. Raw development in DxO Optics Pro 11 with lens correction in DxO ViewPoint 3. Post processing in Affinity Photo 1.5, Topaz Adjust 5 and ON1 Photo RAW 2017. 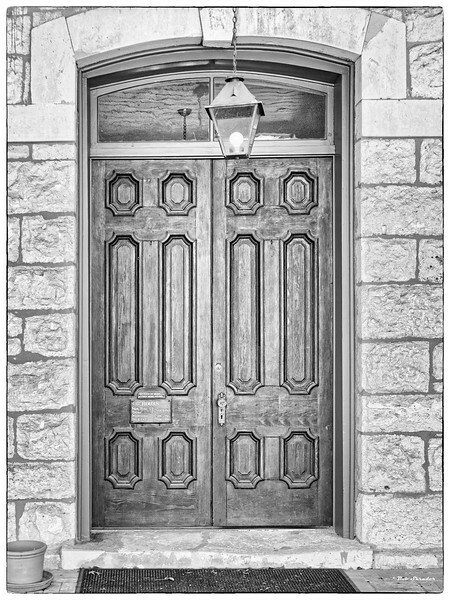 Entrance to the old Gillespie County Courthouse, Fredericksburg, Texas. Olympus PEN-F and Lumix G 25mm F1.7. Raw development in DxO Optics Pro 11 with lens correction in DxO ViewPoint. Post processing in Affinity Photo 1.5 and Google Nik Silver Efex Pro 2 (Preset: 020 Fine Arts - High Key, Framed). Once there was a sea here. Permian Basin Petroleum Museum, Midland, Texas. Olympus PEN-F and M.Zuiko 17mm F1.8. Raw development in DxO Optics Pro 11 with lens correction in DxO ViewPoint 3. Post processing in Affinity Photo 1.5, Topaz Adjust 5 and ON1 Photo RAW 2017. 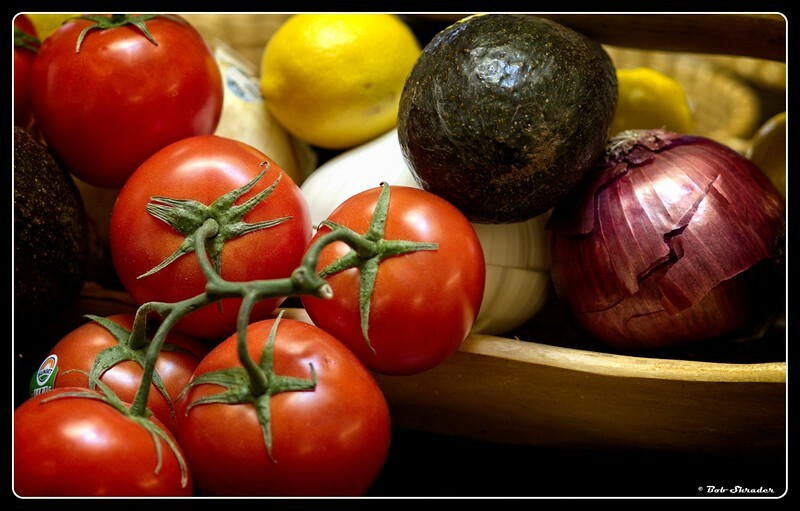 Some of the basic ingredients in a well-stocked kitchen. Olympus PEN-F and M.Zuiko 75mm F1.8. Raw development and processing in ON1 Photo RAW 2017. 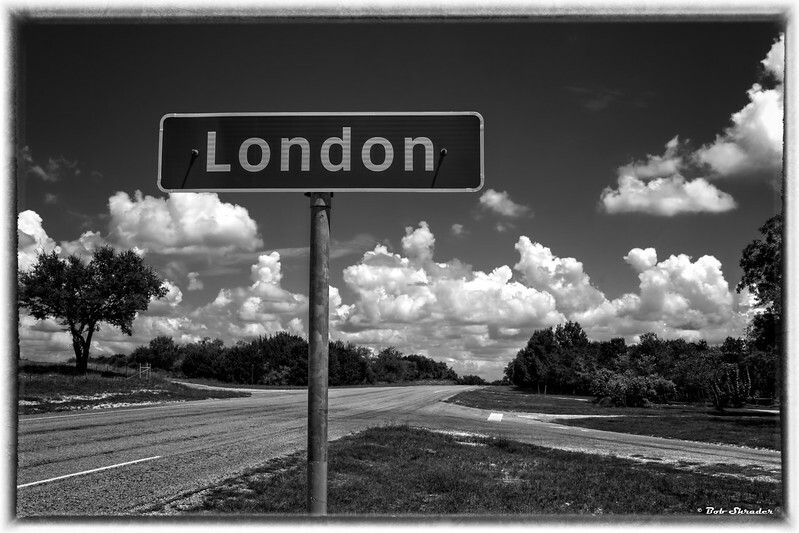 Monochrome rendering of roadside sign indicating the tiny Texas community of London. Olympus E-M5 and M.Zuiko 17mm F1.8. Raw conversion and processing in Affinity Photo 1.5. 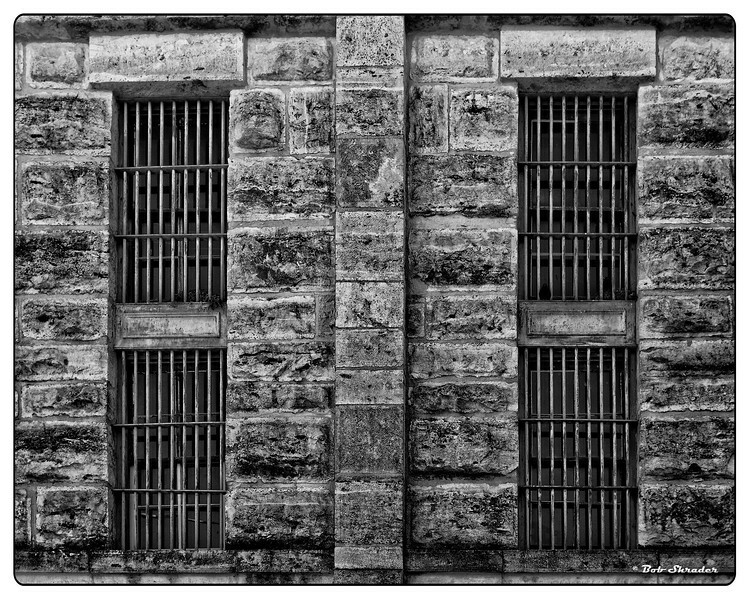 Additional post processing in Photomatix Pro 5 and Google Nik Silver Efex Pro 2 (preset: Full Spectrum). Stylized rendering of roadside sign indicating the tiny Texas community of London. Olympus E-M5 and M.Zuiko 17mm F1.8. Raw conversion and processing in Affinity Photo 1.5. Additional post processing in Photomatix Pro 5 and ON1 Photo RAW 2017 (Matt Kloskowski Landscape preset: Warm Details). 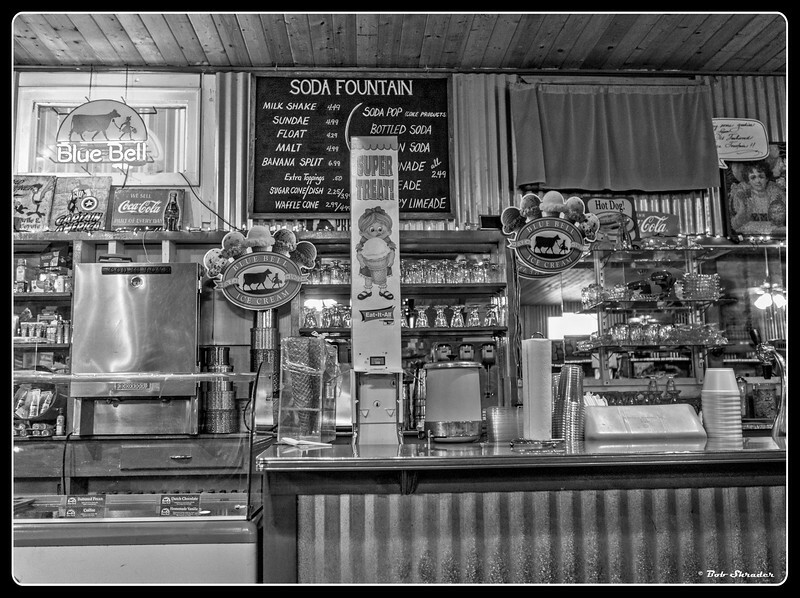 The Texas ice cream brand of Blue Bell gets prominent display in this black and white film-look rendering of soda fountain at drug store in Fort Davis, Texas. Olympus E-M5 and M.Zuiko 17mm F1.8. Raw conversion and processing in Affinity Photo 1.5. Post processing in Photomatix Pro 5 and ON1 Photo RAW 2017 (Film - B&W: Ilford Pan F 50). 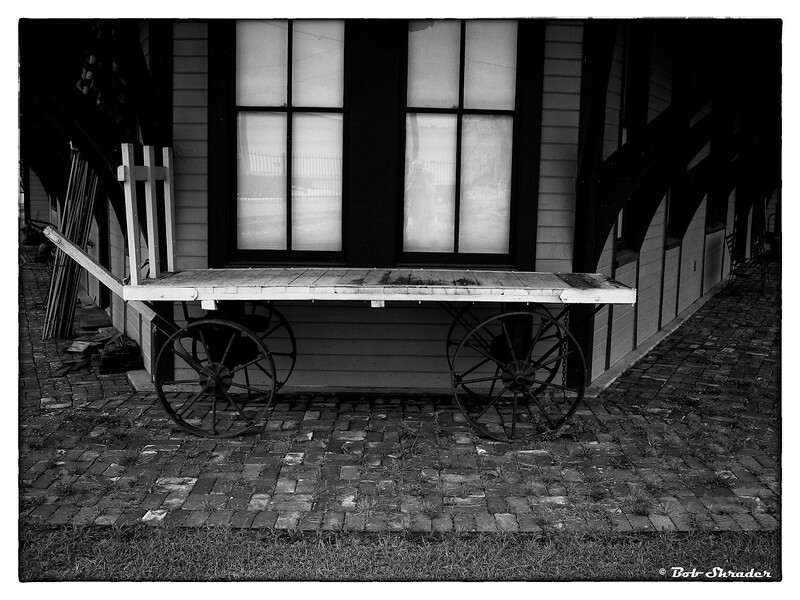 Black and white film rendering of an antique baggage cart outside the Hearne Railroad Depot Museum in Hearne, Texas. Olympus E-M1 and M.Zujiko 12-40mm F2.8 PRO. Raw development in Aftershot Pro 3. Post processing in Affinity Photo 1.5 and Google Nik Collection Silver Efex Pro 2 (Ilford Pan F 50). 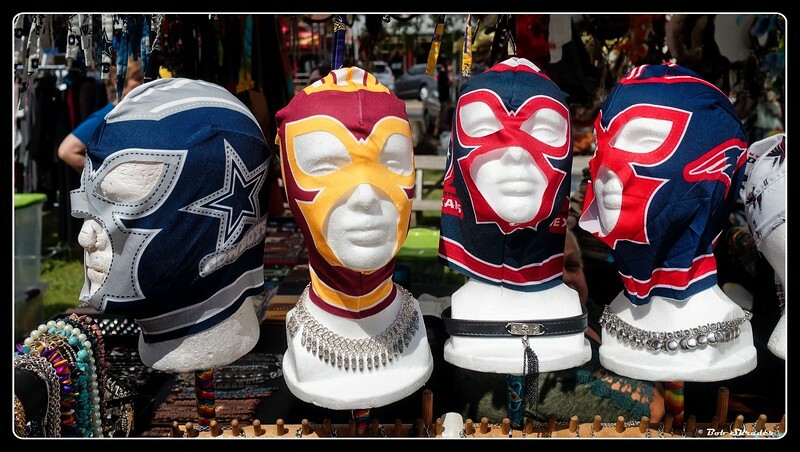 Masks for sale at a Market Days booth on the square of the old courthouse in Blanco, Texas. Olympus PEN-F and M.Zuiko 17mm F1.8. Raw development in DxO Optics Pro 11 with lens correction in DxO ViewPoint 2. Post processing in ON1 Photo RAW 2017. Stylized rendering of the Uptown Blanco Arts and Entertainment Center, a group of renovated buildings now used for numerous purposes in this Hill Country town. Olympus PEN-F and M.Zuiko 17mm F1.8. Stitched from multiple shots with raw conversion in Microsoft ICE. Post processing in ON1 Photo RAW 2017 (Photomorphis preset with texture: Colores y Texturas v). Black and white film-look rendering of second-story windows in the old Gillespie County Courthouse, built in 1885. 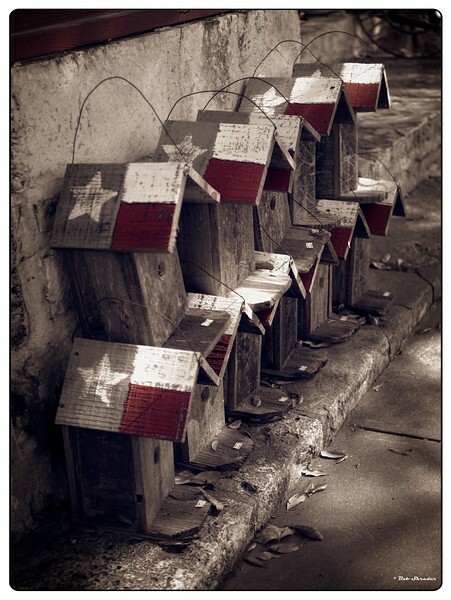 Fredericksburg, Texas. Olympus PEN-F and Lumix G 25mm F1.7. Raw conversion in DxO Optics Pro 11 with Lens correction in DxO ViewPoint 3.1. Post processing in ON1 Photo RAW 2017 and Google Nik Collection Silver Efex Pro 2. 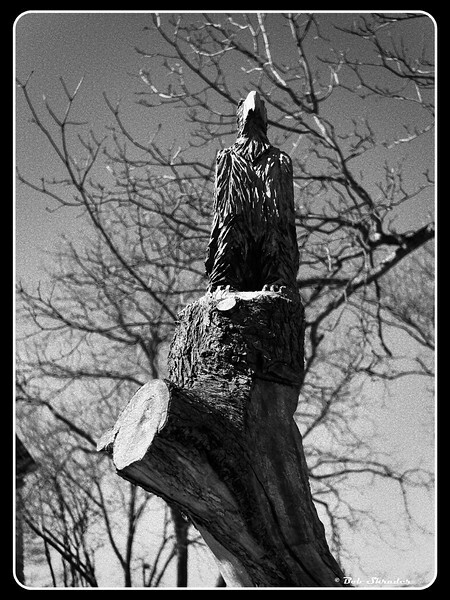 One of three eagle carvings on the stump of an old tree on the grounds of the old Gillespie County Courthouse, Fredericksburg, Texas. Olympus PEN-F and Lumix G 25mm F1.7. 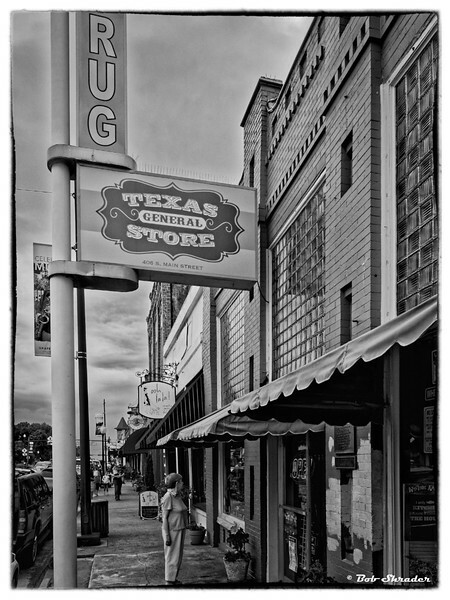 Black and white film-look rendering of the 400 block of S. Main Street, part of the downtown historic district in Grapevine, Texas. Olympus OM-D E-M1 and Olympus M.12-40mm F2.8. Raw development in DxO Optics Pro 11 with lens correction in DxO ViewPoint 3. Post processing in Affinity Photo 1.5, Google Nik Silver Efex Pro 2 (023 Wet Rocks preset with orange filter and Ilford Pan F Plus 50 applied) and Zoner Photo Studio X. 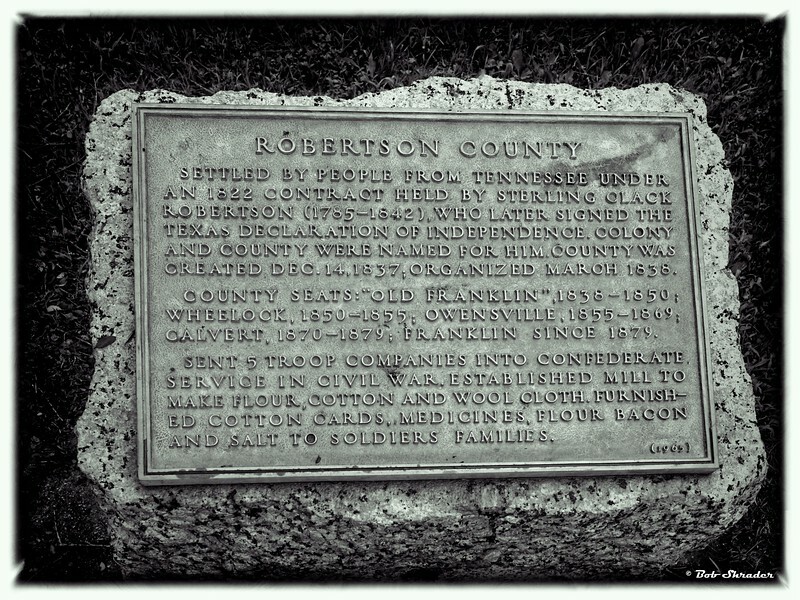 Historic marker on US 79 near Franklin in Robertson County, Texas. Here's proof Lightroom and Photoshop are not necessary to apply a little creative touch to an ordinary shot. More applications were used, but the workflow was just as simple, and DxO does a much better job than Lightroom rendering micro four thirds raw files because of its extensive lens database. This marker, mounted horizontally, is on a roadside stone about waist high, making it impossible to get proper perspective with a handheld shot. However, the correction is done as easily in DxO as in Lightroom. 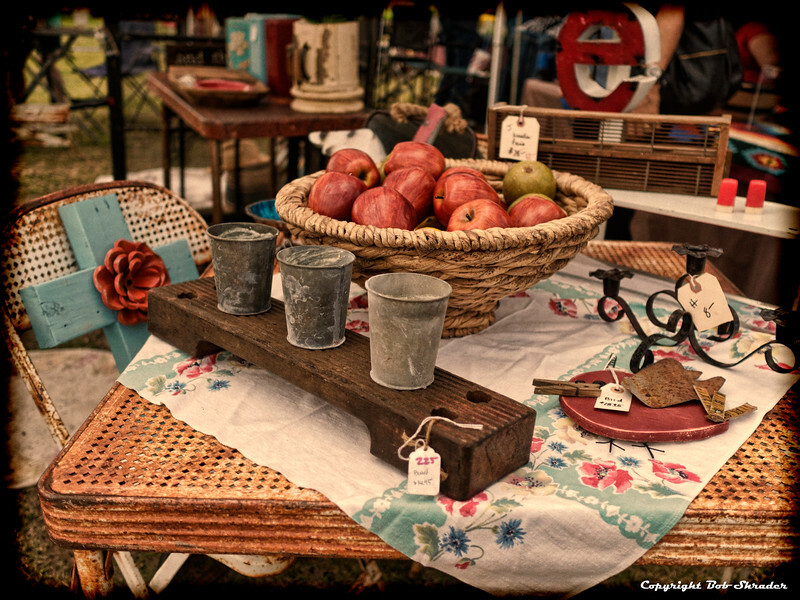 A digital selenium look, replicating the antique darkroom print effect, was added. Raw conversion in DxO Optics Pro 11 Elite with lens correction in DxO ViewPoint 2. Post processing in PhotoLine 19.5, Topaz Detail 3, Topaz B&W Effects (Selenium II) and Zoner Photo Studio 18. 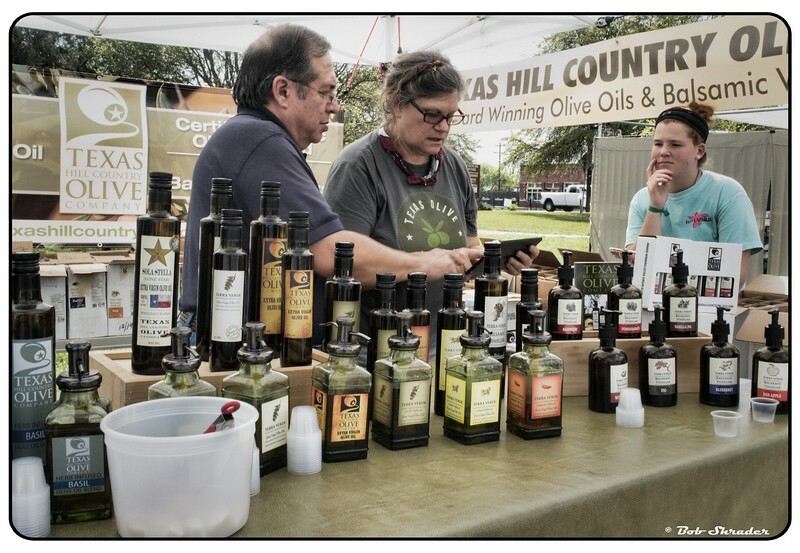 Stylized rendering of market days on the square of the old courthouse in Blanco, Texas. Olympus PEN-F and M.Zuiko 17mm F1.8. Raw development in DxO Optics Pro 11 with lens correction in DxO ViewPoint 3. 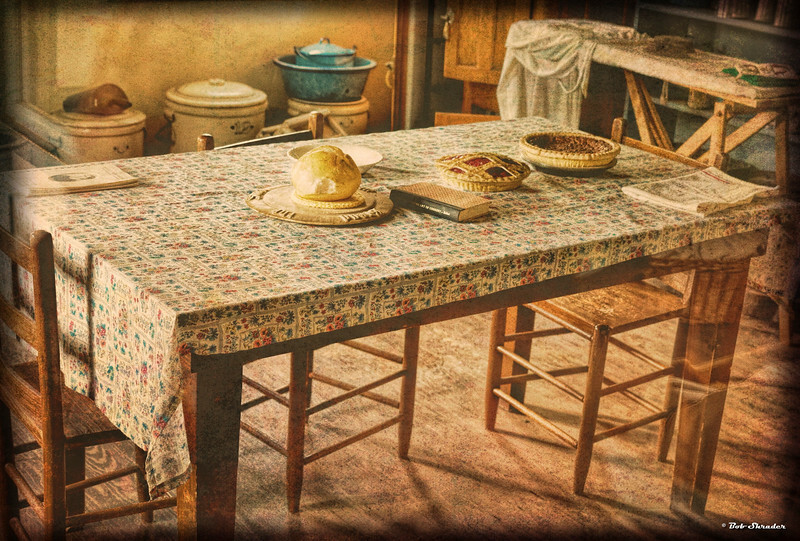 Post processing in Affinity Photo 1.5 and Topaz Adjust 5.2 (Vintage Grunge II). 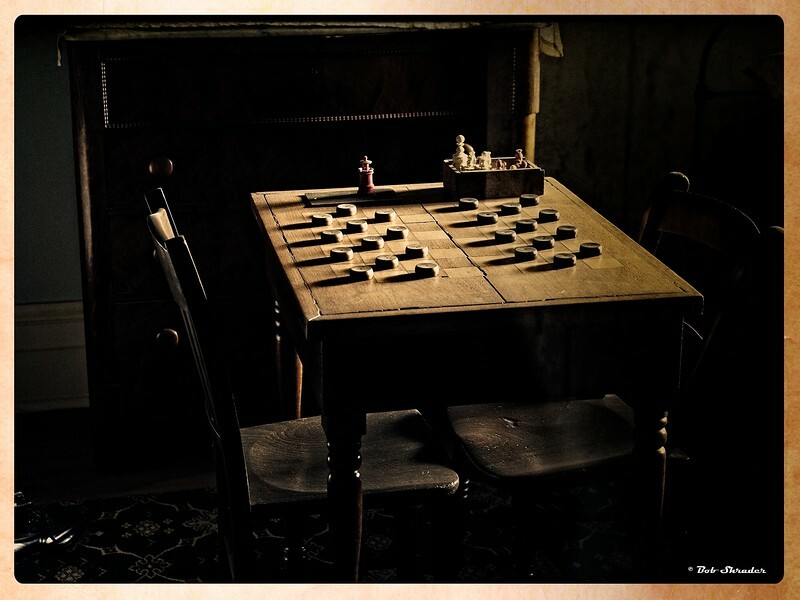 Exterior light illuminates a checkerboard at the Fort Davis National Historic Site in Fort Davis, Texas. Textured style applied. Olympus OM-D E-M1 and Olympus M.12-40mm F2.8. Raw development and post processing in ON1 Photo RAW 2017 (texture preset: Photomorphis Raw Expression 09). This is a fully non-destructive workflow iproduced with the incomplete version of Photo RAW available as of 24 April 2017. The camera used was supported by the software. However, there's no lens correction. ON1 promises that in the next scheduled free update in late May or early June. 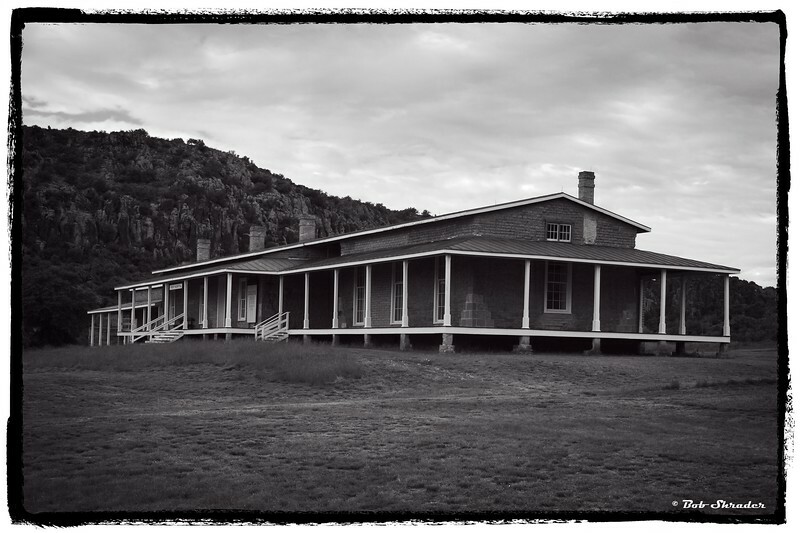 Black and white film-look rendering of the restored exterior of the post hospital at the Fort Davis National Historic Site, Fort Davis, Texas. Olympus OM-D E-M1 and Olympus M.12-40mm F2.8. Raw development and post processing in ON1 Photo RAW 2017 (Black & White: Ansel in the Valley). 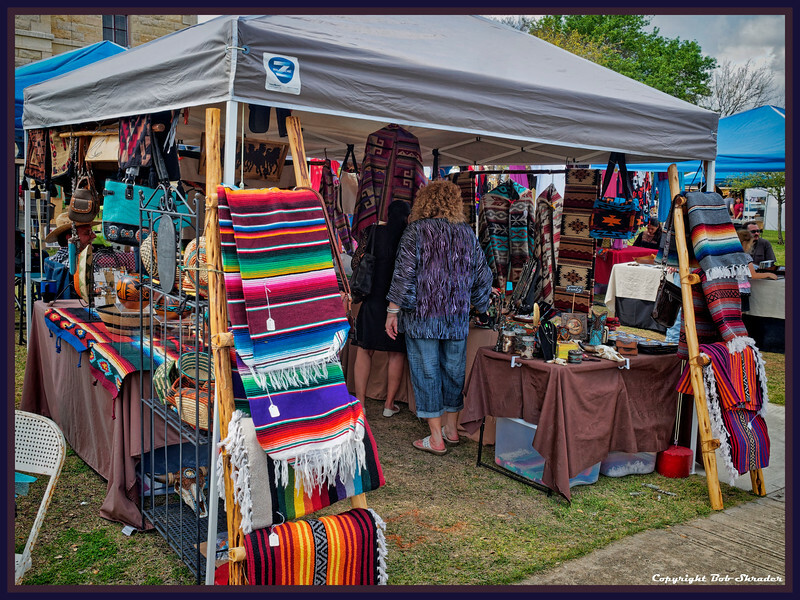 Market days on the square of the old courthouse in Blanco, Texas. Olympus PEN-F and M.Zuiko 17mm F1.8. Raw development in DxO Optics Pro 11 with lens correction in DxO ViewPoint 3. 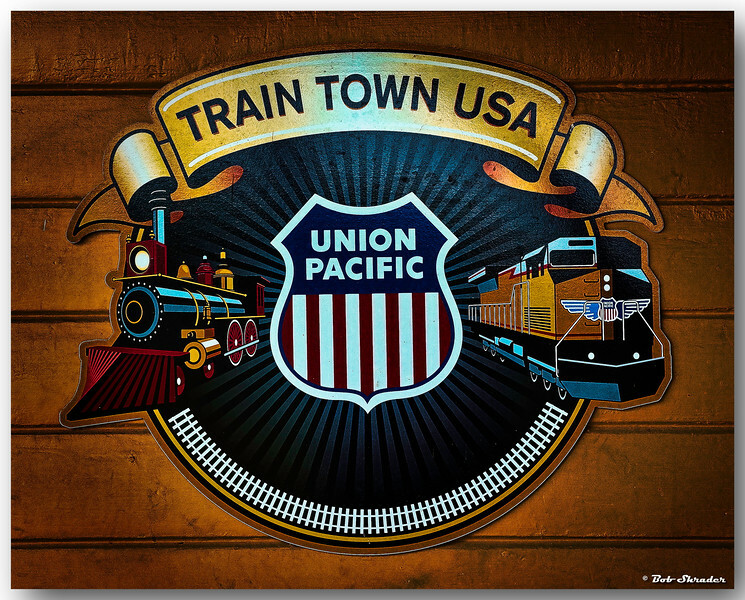 Post processing in Affinity Photo 1.5 and Topaz Adjust 5.2 (HDR Collection - Medium Pop Grunge). 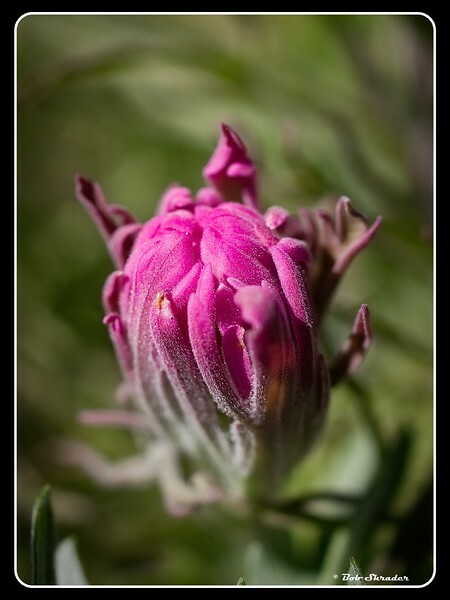 Color slide film look rendering of a Downy Indian paintbrush wildflower about to burst into bloom along FM 1864 near Scranton, Texas. Raw development and processing in Alien Skin Exposure X2 (Color Film - Slide - Kodak Kodachrome 25). 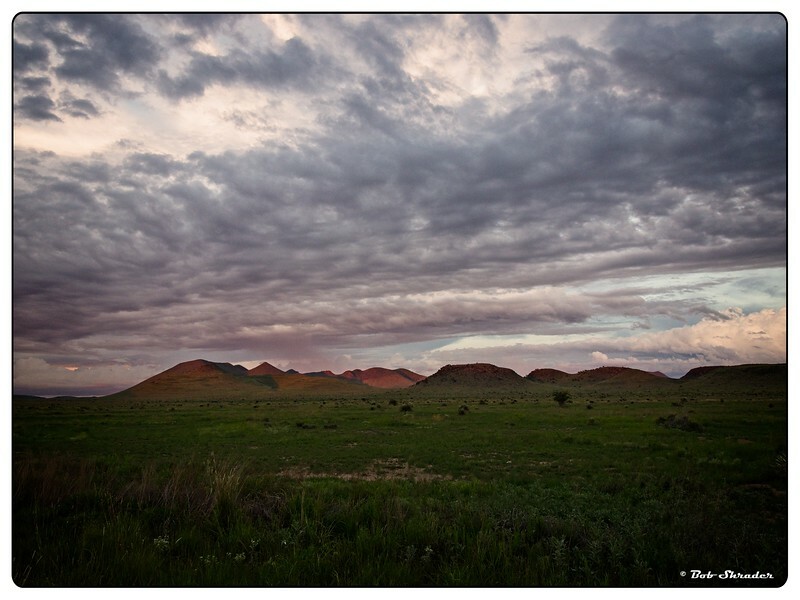 West Texas Landscape near Fort Davis, Texas. Olympus OM-D E-M1 and Olympus M.7-14mm F2.8. Raw development and post processing in ON1 Photo RAW 2017. Work on this image required use of the Layers module in Photo RAW. That requires creation of a PSD file, thus breaking the non-destructive editing chain. Layers will have to be incorporated in the non-destructive work flow, and ON1 indicates that feature is planned. 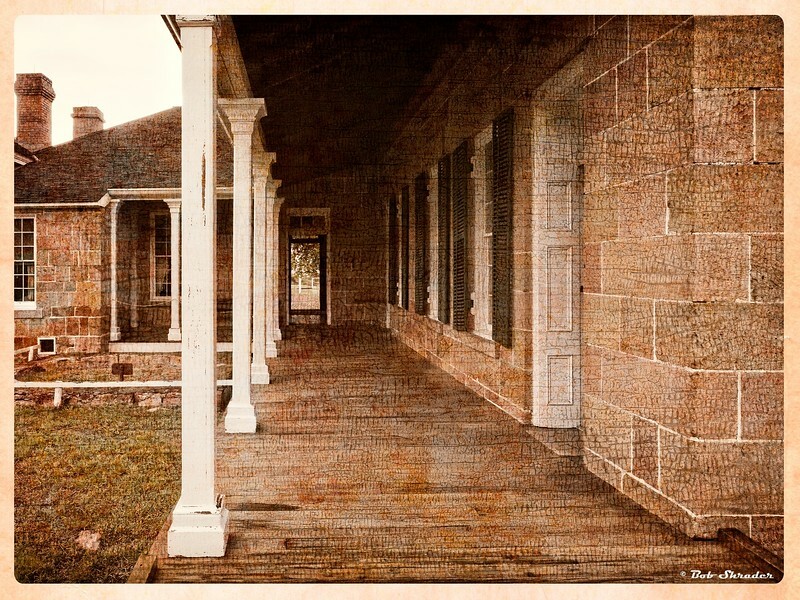 Stylized rendering of the exterior of a building at the Fort Davis National Historic Site, Fort Davis, Texas. Olympus OM-D E-M1 and Olympus M.12-40mm F2.8. Raw development in DxO Optics Pro 11 with lens correction applied by DxO ViewPoint 3. Post processing in ON1 Photo RAW 2017 with texture preset: Photomorphis Colores y Textura Presets v. 3-04. This image resulted from an ongoing comparison project involving ON1 Photo RAW 2017 and Alien Skin Exposure X2, both with conditional non-destructive editing capabilities. Under certain circumstances each can produce an image for export with a completely non-destructive workflow. But not this one. Because the original raw image was shot with the zoom lens set at 12mm, there were multiple planes of distortion. Exposure X2 has automatic lens correction, but it fixed only vertical distortion in the porch supports. Photo RAW does not have lens correction. DxO Optics Pro 11 produced this corrected image only after it was set to call upon the installed DxO ViewPoint. Then the complex correction was automtic. 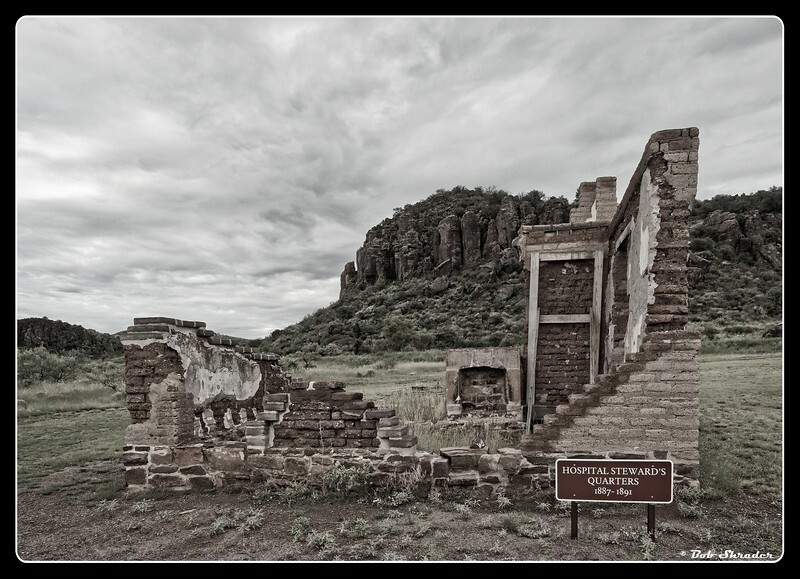 Stylized rendering of the ruins of the hospital steward's quarters at the Fort Davis National Historic Site, Fort Davis, Texas. Olympus OM-D E-M1 and Olympus M.12-40mm F2.8. Raw development in DxO Optics Pro 11 with lens perspective adjustment applied in DxO ViewPoint 3. Post processing in ON1 Photo RAW 2017. 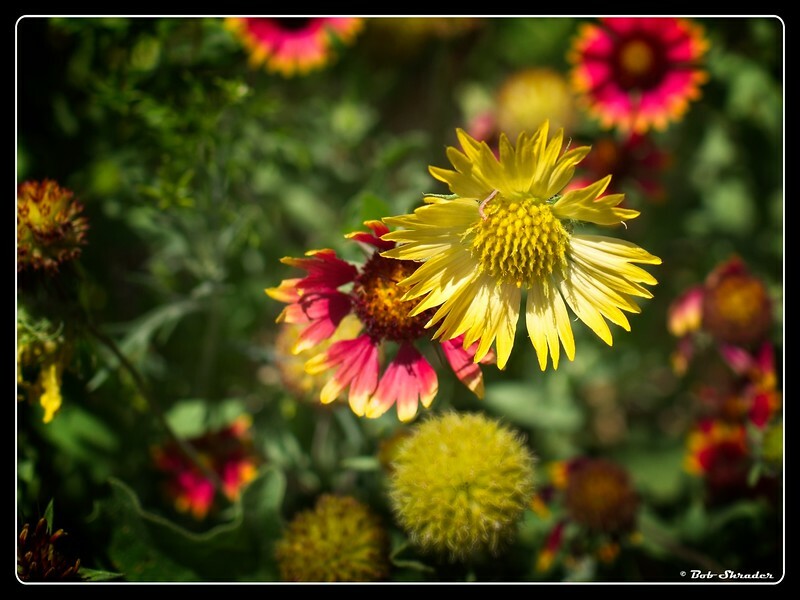 A rare yellow and white Indian Blanket wildflower among the common red and yellow blossoms. 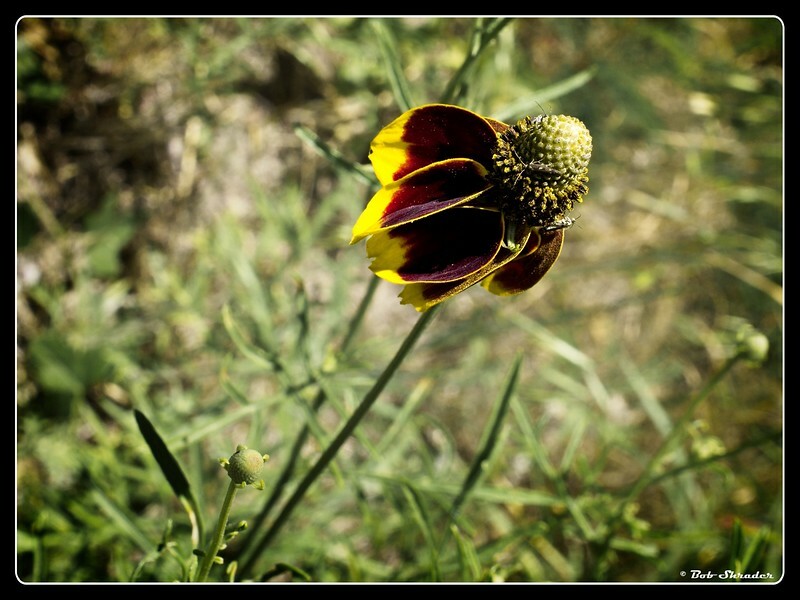 This coloration appears annually in a patch of Indian Blankets along FM 1864 in Callahan County a few miles west of Scranton, Texas. Olympus E-M10 II and Olympus M.30mm F3.5 Macro. Raw conversion and post processing in ON1 Photo RAW 2017.1. Color film-look rendering of tiny insects visiting a Mexican Hat blossom. Olympus OM-D E-M10 II and Oympus M.30mm F3.5 Macro. Raw development and post processing in ON1 Photo RAW 2017.1 (Color Film: Kodak Ektar 100). 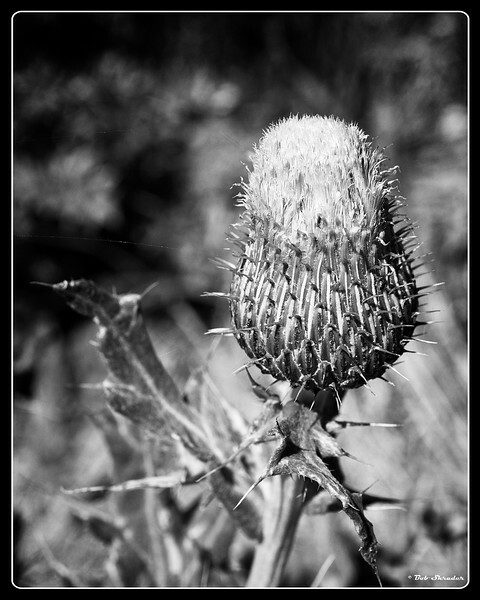 Black and white film-look rendering of a Texas Thistle beginning to bloom. 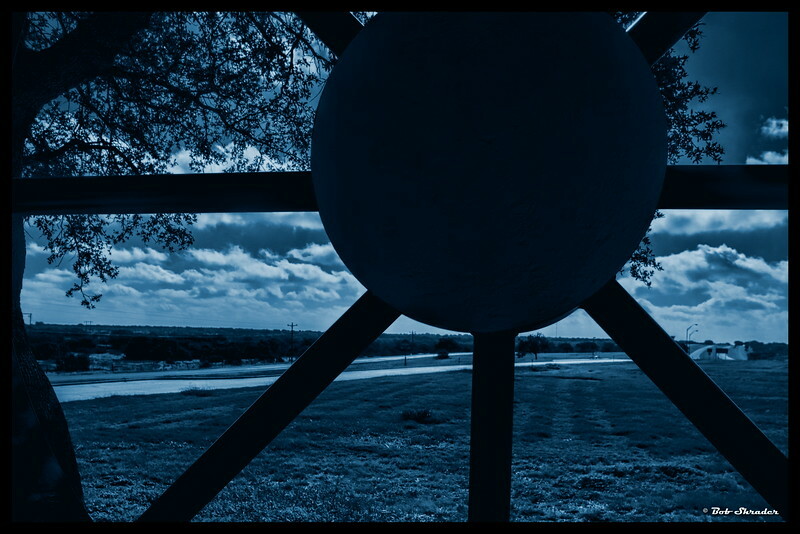 Along the roadside, Callahan County, Texas. Olympus OM-D E-M10 II. Raw development and post processing in ON1 Photo RAW 2017.1 (Film - B&W - Fuji Neopan 100). 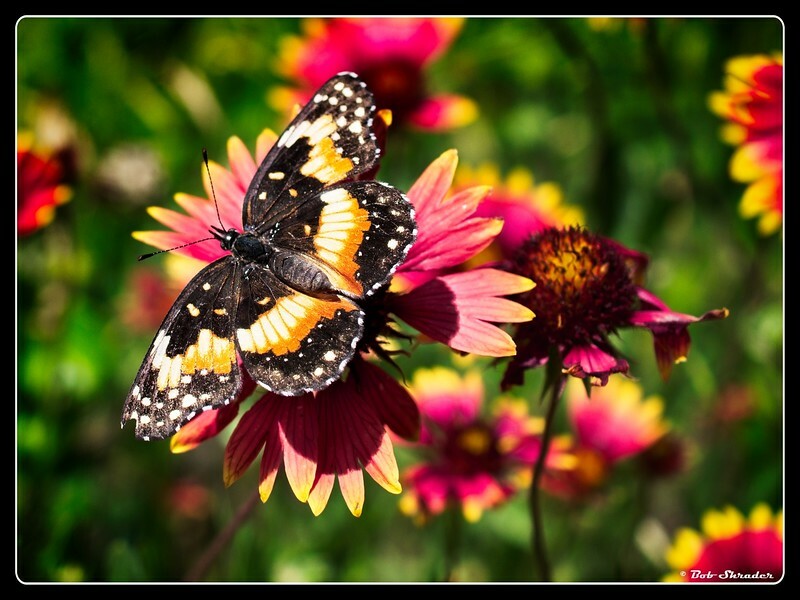 Color film-look rendering of a butterfly on an Indian Blanket wildflower. On the roadside of FM 1864 in Callahan County just west of Scranton, Texas. Olympus OM-D E-M10 II and Olympus M.30mm F3.5 Macro. Raw conversion and post processing in ON1 Photo RAW 2017.1 (Preset: Color Film - Fujifilm Velvia 50). 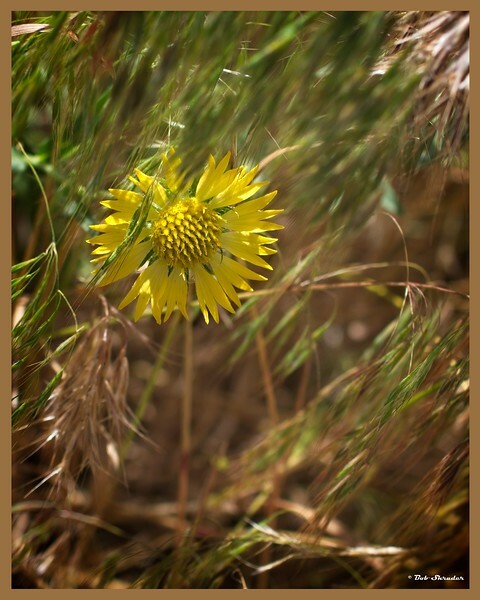 Look carefully among the roadside grass and you may spot a rare yellow and white Indian Blanket wildflower. Along FM 1864 in Callahan County west of Scranton, Texas. Olympus OM-D E-M10 II and Olympus M.30mm F3.5 Macro. Raw development and post processing in ON1 Photo RAW 2017.1.